Not many things have gone right for Michigan State this season. So when the Spartans traveled to face No. 8-ranked Penn State, everyone expected them to lose. Instead, the Spartans delivered one of the biggest upsets this year. Michigan State trailed by three points when it got the ball back with 70 seconds left deep in its own territory. Despite the odds against him on the road, quarterback Brian Lewerke led the Spartans on a comeback drive in the final seconds. On third down with 25 seconds left in the game, Lewerke hooked up with Felton Davis who took it into the end zone for the go-ahead score. 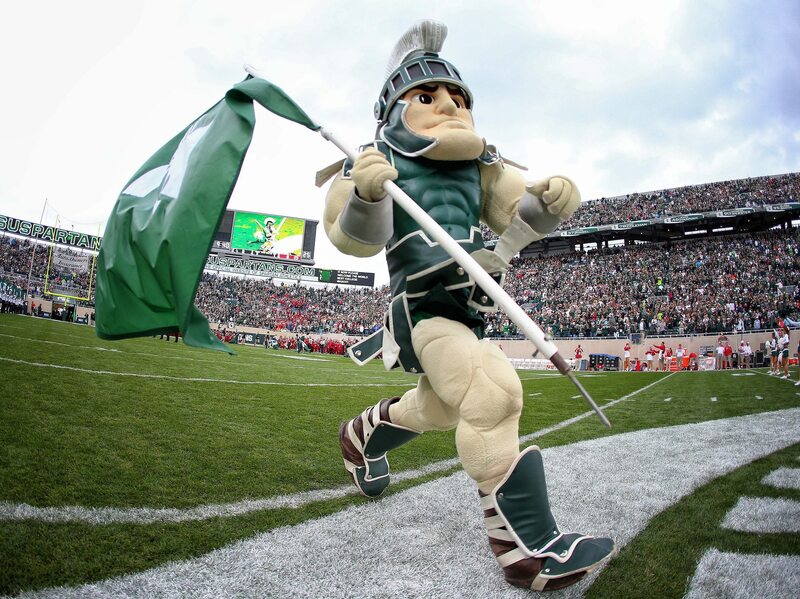 Michigan State took the lead and when Penn State’s final attempt at a comeback ended, Twitter erupted as Sparty pulled off an incredible upset in a weekend full of exciting games. Look at Sparty. That was stones. Of the coach to punt and play defense to the offense making it cash with monster late TD. Wow. Penn State fans, do you want to talk about it?